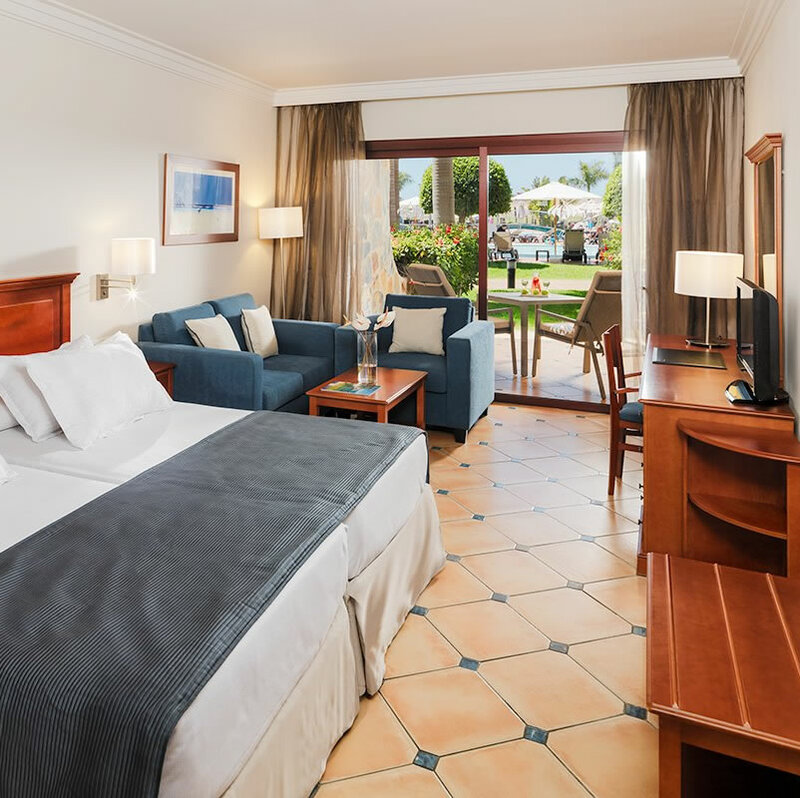 The 5 star Playa Meloneras Palace Gran Canaria is situated in Meloneras, in the south of Gran Canaria, close to the resort of Maspalomas and only 5 Kilometers from Playa del Ingles, it has a seafront location in a quiet area next to the Golf Meloneras. The hotel's landscaped gardens, great facilities and cosy interior design make it an especially charming hotel. 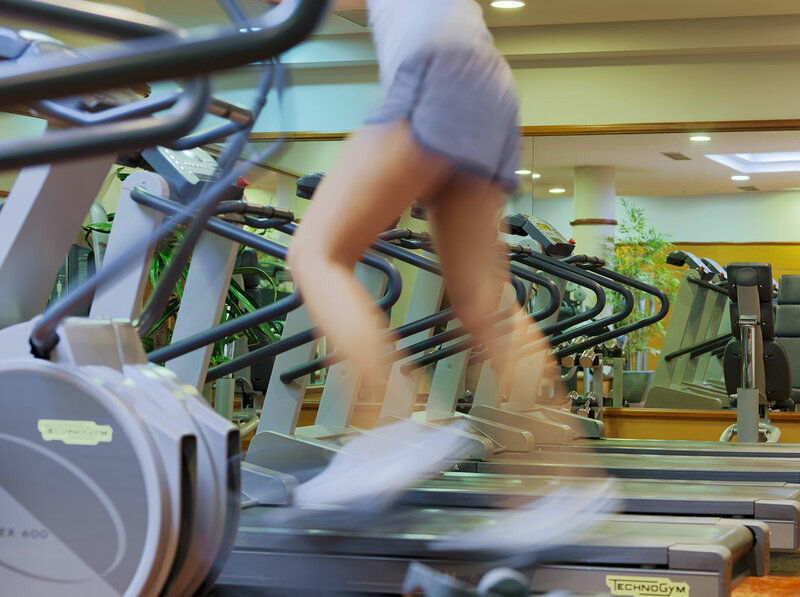 Moreover, you can enjoy the many holiday facilities here as well as appreciate total relaxation in the Meloneras Wellness health and beauty centre. The hotel boasts 350 double bedrooms, 23 junior suites and one large senior suite. Each bedroom is well equipped with private bathroom, balcony, digital TV and international channels, mini-bar, in-room safe, telephones in room/bathroom and are air conditioned. The hotel also has the optional upgrade to their 'privilege club' this service includes superior rooms with sea or pool views, daily press, pillow menu and other exclusive services in the room, breakfast and dinner at the à la carte Restaurant Gaudi, free access to the Gym and Wellness Meloneras and discounts on the treatments available. 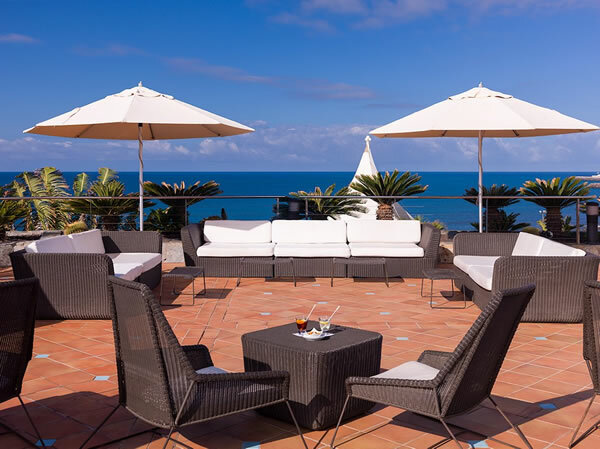 The hotel has three restaurants, the 'Tamadaba' is the main restaurant for breakfast and evening meals this restaurant has buffet service with show cooking and theme evenings, there is also the a la carte restaurant Gaudi and the poolside restaurant and bar. The hotel also has a piano bar, lobby bar and nightclub that is the venue for the hotel's evening entertainment programme. The H10 Playa Meloneras Palace has plenty of amenities to aid your relaxation and enhance your holiday well being these include, 2 adult pools (1 heated) 1 children's pool, Jacuzzi and solarium, Wi-Fi connection in common areas, internet corner, sports centre, games zone, day time entertainment programme and mini club 'daisy' for the little ones. The hotel also has a laundry service, boutique, hairdresser, newsagent and Wellness centre. The hotel's health and beauty centre features all kinds of treatments and has a water zone. This unique haven is just the place to unwind, relax and be pampered during your stay at the hotel. It has a dynamic swimming pool, hydro-massage beds, Scottish shower, ice spring and Jacuzzi.